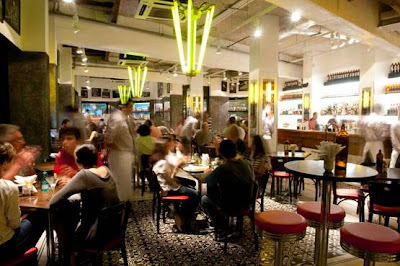 Yes, they did it again: the owners of the ultra-popular Bráz pizza joints, Pirajá bar and Astor restaurant, among other inimitable hot spots in São Paulo, are proceding with their expansion in Rio. The latest newcomer is an outpost of Astor - which calls itself a bar but is actually a casual restaurant which doubles as bar (here, food is taken quite seriously and is not a mere sidenote). The location of the Rio Astor could not be any nobler: the corner of Vieira Souto avenue and Rainha Elizabeth street, in Ipanema. 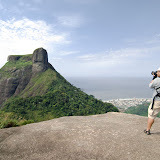 A few steps away from Rio's hottest hotel, the Fasano. And across the avenue from Ipanema beach. Per-FECT! The main feature of the brasserie-style décor is the antique bar shipped all the way from Philadelphia. Black-and-white photos of Rio's most iconic old bars line the walls. The draft beer is stupendous - that's what these guys are best-known for. But they've worked on a respectable list of martinis, and also serve imaginative versions of the caipirinha. The food is hangover-friendly: Picadinho, a classic beef stir fry (R$ 32) Steak tartare (R$ 34), and the all-time brazilian favourite, steak with rice, beans and onions. Alex is a Brazilian food and travel writer, and regular contributor to magazines such as Vogue Brazil, Viagem&Turismo, Wish Report and Prazeres da Mesa, and English-language magazines, such as Air Canada’s inflight En Route, LanChile’s inflight IN, Tidings, 360 (the American Express custom magazine) and Four Seasons (the magazine of the five-star hotel group). You can see some samples of her work on her website. Writer and photographer Antonella Kann, globetrotter since birth, has been covering travel for 15 years. 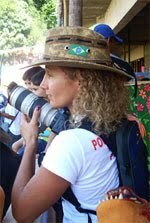 She contributes to several Brazilian and international magazines, such as the TAM and TAP inflights, Destinations (New Zealand), Rio's O GLOBO newspaper. She has a column in IATE magazine, about nautical travel. 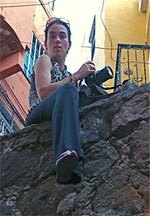 At the end of2009, she launched Instantes do Mundo, her fist photography book, with nearly 120 images taken in her last 2o years of travels. A confessed travel-addict, she still has plenty to explore.